Eyelid surgery, or blepharoplasty, (or, slang, "eye job") is an operation that corrects sagging, or drooping eyelids as well as bags and bulges around the eyes. These conditions develop as a result of laxity of the eyelid skin and protrusion of fat around the eyes. It is not limited to older patients, as many individuals inherit a predisposition toward development of fat pouches at an early age. Excess skin is treated by excision or occasionally by laser resurfacing. If excess fat is present, it can be removed simultaneously. Surgical correction is appropriate for all age groups. In some cases, the condition will be caused by other medical problems such as allergy or thyroid disorders. In these patients, the proper treatment may be medical rather than surgical. 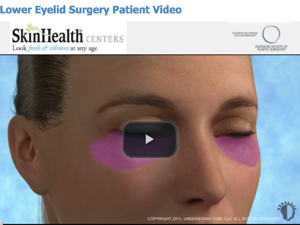 The procedure can improve the appearance of the upper eyelids, lower eyelids, or both. The goal of blepharoplasty is to give the eyes a more youthful look so you look more rested and alert. 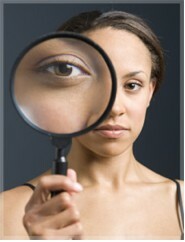 Your eyes are often the first thing people notice about you, and are an important aspect of your overall appearance. Young eyelid skin is smooth, but over time, the eyelid skin stretches, the fat bulges, and the muscles weaken. Age, heredity and sun exposure all contribute to this process. Loose baggy lids detract from your overall appearance and make you look tired or older. When severe enough, the upper eyelid skin may hang over the lashes and obstruct peripheral vision. 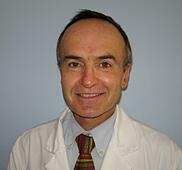 The procedure can be performed in Dr. Daniel Townsend's Boston office under local anesthesia. Excess skin and fat are removed from the upper lid through an incision hidden in the natural eyelid crease. If the lid is droopy, the muscle that raises the upper lid can be tightened. The incision is then closed with very fine sutures. Because the incision follows the natural contour of the upper eyelid, it usually is inconspicuous. To remove the fatty deposits beneath the eyes, the incisions are placed just inside the lower eyelid, therefore invisible. After the fat is removed, the incisions may be closed with absorbable sutures or may be left to heal naturally. When excess skin and muscle need to be removed from the lower lids, the incisions are placed just below the lash line and the incision is closed with very fine sutures. The procedure can take between one and two hours, depending on the extent of the surgery. Since the procedure is performed under local anesthesia, you can return home immediately following surgery. After surgery, the area around your eye will be bruised and swollen for about two weeks. Patients should keep their heads up and place cold compresses on their eye periodically. Antibiotic eye drops or ointment may be prescribed. Patients can’t wear contact lenses for about two weeks, since the eyelids may be stiff and sore. Make-up may be worn after about ten days. The resulting hairline scars which follow the natural contour of the eyelids tend to fade in about two months. Cosmetic eyelid surgery has the effect of making you look more rested, refreshed and alert. The results of aesthetic eyelid surgery are usually long lasting, but they may be affected by heredity and lifestyle factors. Even though the aging process continues, patients are usually happy with their appearance for many years following eyelid surgery. 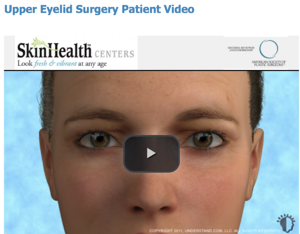 Eyelid problems are common, even in younger people. 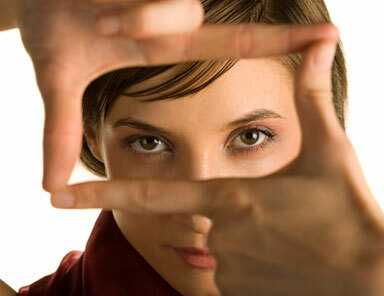 Correcting eyelid problems that interfere with your vision may be covered by your health insurance. We are happy to submit a request to your insurance company to see if they will provide coverage for the surgery. However, when eyelid surgery is performed for cosmetic reasons, it may not be covered in part or in whole by your health insurance. Surgery on the lower lids is always considered cosmetic in nature and will not be covered by insurance. Cold compresses are applied to reduce swelling and bruising. Antibiotic ointment or drops may be prescribed. Strenuous activity should be minimized for several days. Discomfort is generally mild. Non-aspirin pain relievers are usually all that are necessary post-operatively. Most patients are able to return to regular activities within several days. Incisions will fade over a number of weeks or months, usually becoming barely visible. Fortunately, significant complications from cosmetic eyelid surgery are infrequent. Every year, many thousands of people undergo eyelid surgery successfully, without experiencing any major problem. Potential risks will be discussed during your consultation. performed over 5,000 blepharoplasties over the past 20 years. Dr. Townsend is a Board-Certified ophthalmic plastic surgeon who specializes in disease of the eyelids, tear drain and orbit (the area around the eye.) He has completed an American Society of Ophthalmic Plastic and Reconstructive Surgery (ASOPRS) fellowship, which means he is not only a Board-certified ophthalmologist, but also has had extensive training in ophthalmic plastic surgery. Dr. Townsend is Harvard-trained and is a former President of the Medical Staff at Massachusetts Eye and Ear Infirmary, a Harvard teaching hospital. TO SCHEDULE YOUR PRIVATE CONSULTATION, CALL 617-267-7546.